Brief Description The dense forest of the Osun Sacred Grove on the outskirts of the city of Osogbo, is one of the last remnants of primary high forest in southern Nigeria. 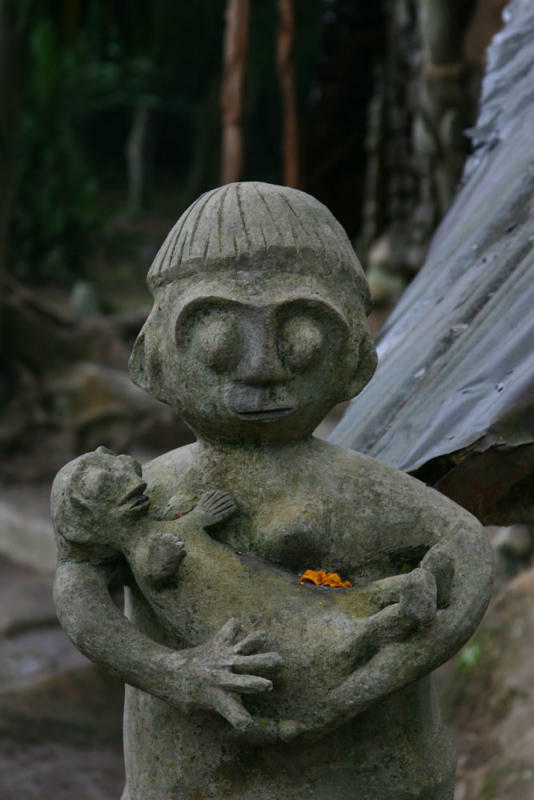 Regarded as the abode of the goddess of fertility Osun, one of the pantheon of Yoruba gods, the landscape of the grove and its meandering river is dotted with sanctuaries and shrines, sculptures and art works in honor of Osun and other Yoruba deities. The Grove, which is now seen as a symbol of identity for all Yoruba people, is probably the last sacred grove in Yoruba culture. It testifies to the once widespread practice of establishing sacred groves outside all settlements. 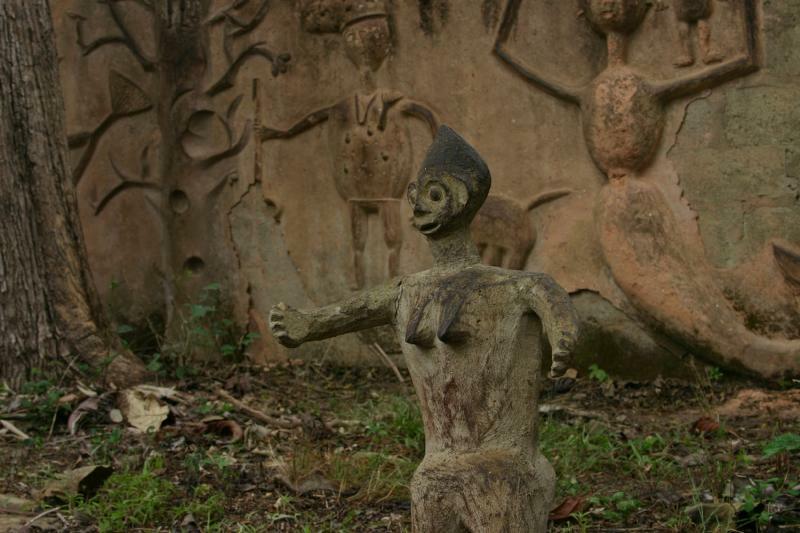 Why do these carvings in the Osogbo forest look remarkably similar to the western image of 'Aliens'? 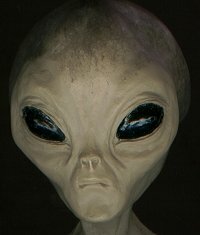 Did 'Aliens' visit Nigeria? 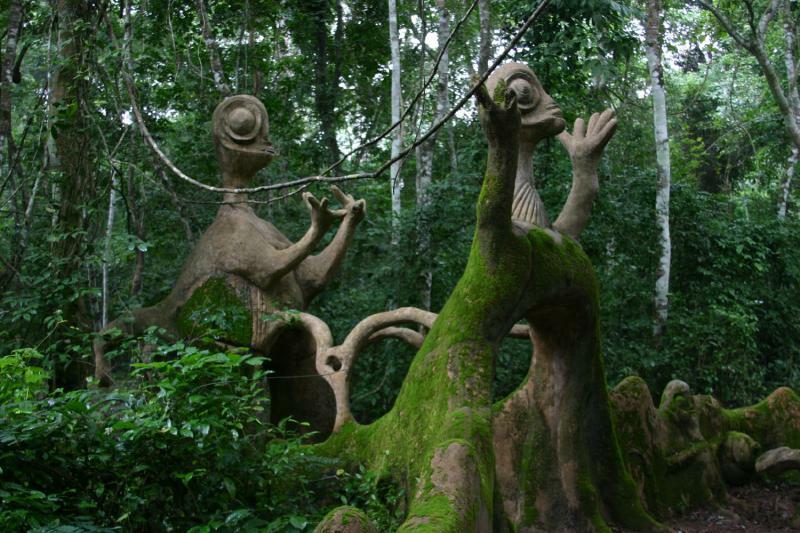 The Osun Sacred Grove is the largest and perhaps the only remaining example of a once widespread phenomenon that used to characterize every Yoruba settlement. It now represents Yoruba sacred groves and their reflection of Yoruba cosmology. 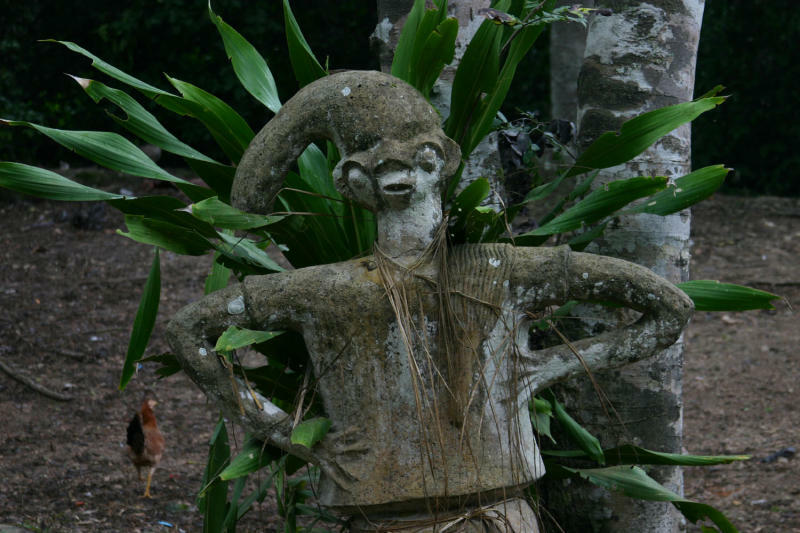 The Osun Grove is a tangible expression of Yoruba divinatory and cosmological systems; its annual festival is a living thriving and evolving response to Yoruba beliefs in the bond between people, their ruler and the Osun goddess. This page was last edited on 4 September 2008, at 09:50.